Sahil Badruddin: The Golden Rule to treat others as we wish to be treated ourselves, you've often mentioned is the foundation of the virtue of compassion. SB: —it requires a constant daily struggle and a great deal of humility. Could you speak about the Golden Rule, compassion, and the power they have to create a peaceful global community? doctrine, that is the fundamental teaching of their tradition. The first person to emphasize this in a way that was actually written down was Confucius, who was writing about some 500 years before the Common Era. Right back at the very beginnings of civilization in ancient Egypt, the Golden Rule was of the essence of morality, because it was the only way to run a decent society. It is formulated in various ways—some people put it in the positive way, as you did yourself just now, always treat others as you'd like to be treated yourself. Others put the negative view forward, never impose on others, said Confucius, what you yourself do not desire. It requires of you that you look into your own heart, discover what gives you pain, and then refuse under any circumstance whatsoever to inflict that pain on anybody else. The people who devised this wonderful saying, and who came to this conclusion, they were not living in loving, peaceful societies, but they were living in violent times, like our own, where aggression and warfare had seemed to reach an unprecedented level. They were doing this in a sense of urgency, and this was not just something for your private life, it was also essential for politics, they said. As one Chinese sage put it, if you honor the state as you honor yourself, you would not invade that state, because you'd know you would not wish to be invaded yourself. It now seems to me that, unless now we implement the Golden Rule globally, so that we ensure that all people whoever they are, are treated as we would wish to be treated ourselves, the world is simply not going to be a viable place. All these, every single one of them, all these sages insisted that you cannot confine this benevolence to your own group. You must have, what one Chinese sage calls Yàn Aí -- concern for everybody. “Love the stranger,” says the Jewish Bible. “Love your enemy,” said Jesus. Frankly now, unless we treat our enemies with the practical help of the sort and with the respect that we would wish to have for ourselves, really, we'll be in a very dangerous situation. If we'd done this more assiduously in the past, we wouldn't be having so many terrible problems today. 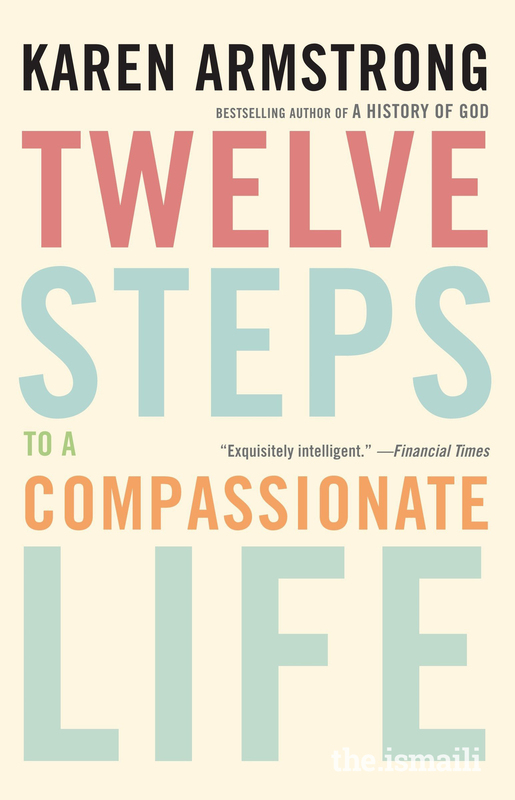 SB: What, in your opinion, are the top two or three challenges you feel individuals face today that actually undermine their ability to make compassion a priority in their daily lives? Dr. Armstrong: Well, number one is ego. I mean basically because what this does, it means that every day you can't put yourself in the center of the picture. You have, in a sense, to dethrone yourself and put yourself in the position of somebody else. Now most people, frankly, don't want to do that. We are programmed to be pretty selfish in order to survive. Our species wouldn't have survived if we all sat down being without aggression. We survived as a species by terrible aggression. Our civilization depends upon violence and aggression. No state, however peace-loving it says it claims to be, can afford to disband its army. Our state is founded on force, and all states, however lofty their ideals, have always been unjust, there have always been inequitable. The challenge is its ego, and of course compassion demands, as I say, that you dethrone yourself from the center of your world, put another person there, but you do it as Confucius said - not just when you feel like it but all day and every day. That's why also it's not just a political practice but a spiritual practice, too, because what holds us back from what is called enlightenment, or holiness, or deification, or whatever you wish to call it, is selfishness, preoccupation with ourselves. The best way of doing that is by a system of compassion where you put other people first. It requires a great deal of intelligence. It's not just a question of going around being nice. You have to decide what is actually the best situation from that person's point of view and from the point of view of the whole and do a great deal of thought. Dr. Armstrong: —to look after the poor and the needy, to give to people when you've got very little yourself. The bedrock message of the Qur’an is it's wrong to build a private fortune, and good to share your wealth so that you create a just and decent society where poor and vulnerable people are treated with respect. We don't see much of that today, frankly, with all our fine talk about democracy and equality; compassion demands equality. Compassion is often mistakenly confused with pity, but pity means that you are in a superior position, and you look mercifully down at somebody in a more inferior position, to who you can show pity. Compassion, it comes from a Greek and Latin root that means com-pathein. Pathein to feel, or to endure, or to experience, and com with somebody else, so that you are constantly feeling with something, of not just hugging your own feelings for yourself or polishing just your own soul. SB: —in a sense, we're seeing more tribalistic and nationalistic tendencies. Dr. Armstrong: Yes, we are seeing the disease of nationalism at the moment, and ethnicity at the moment. It’s almost-- you see what we've created is a global market, where we are, actually whether you like it or not, profoundly interdependent and all our economies are intertwined. If stocks fall in one part of the world, they plummet all around the globe that day. What happens in Yemen tomorrow can have repercussions in a terrorist attack in London. This is the world we've created. The people are retreating from this, in all kinds of ways, into these tight little ethnicities, some of them religious, and some of them political. Brexit, for example, case in point, complete denial. And if you remember when the Berlin Wall fell, people were dancing in the street, but when there was talk during the recent presidential campaign of a wall being built between the United States and Mexico, people were cheering. This, the idea in here, this is held very widely-- and it's in religion too. 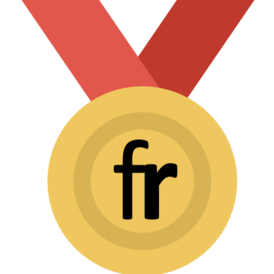 People that were retreating into ghettos because the more we discover about the great religious traditions of the world, the more we find that despite their very revealing and insignificant differences, they have an immense amount in common. SB: How do we reverse this or diminish this, and help people become more committed so that compassion, again, impacts their daily lives? Dr. Armstrong: I think you have to startle them a little bit, to make them in a little bit uncomfortable because too often people regard religion or morality something to make them feel good. With the Charter for Compassion, we’ve created cities of compassion where the Mayor endorses the Charter and undertakes a program for the city that the city needs - it might be homelessness for example, or medical care, something of that sort. It’s got to have some practical dimension. Someone asked me once, "What should a compassionate city be like to live in?" I said, "A compassionate city should be an uncomfortable city." It should be profoundly not sitting complacently around a city saying, “What a wonderful compassionate society we’ve got here,” but looking at the state of the world around. I think you’ll correct me, but I believe someone once told me that the Prophet Muhammad once said, peace be upon him, that no one of you can be a believer if he can sleep when is someone is hungry. Dr. Armstrong: Now, we know, we see on our televisions screens; the depths of massive inequity within our own societies. This winter in London, it was particularly cold. Britain is one of the richest countries in the world and yet there were unprecedented numbers of people sleeping on the streets. This should be disturbing to us. I didn’t hear any religious leader come forward to talk about this. I didn’t hear the Archbishop of Canterbury making a point about this. When they’re watching the news, it now seems regular for the newscaster to say when he’s introducing some footage, "This is a warning. You may find this disturbing, distressing." And that gives you a chance to switch channels or turn off. God forbid, within your nice comfortable home you should see something upsetting. We’ve got to really make ourselves aware of the pain in the world because it only makes sense because all this pain and anguish and suffering-- there are children growing up in Syria who’ve never known peace, they’ve just seen horror in their life. What are those children going to be grown up to become in the future? So this is not something we should just switch off and then return to our nice comfortable suburban homes. We should be making ourselves extremely uncomfortable about the state of the world looking at the pain of the world, that’s what all the great prophets did, they were not sitting around complacently doing yoga. The Prophet used to go before he received any revelation, make a retreat on Mount Hira every year, with his wife Khadija. There, they would start engaging some ascetical exercises and also give food or alms to the poor, who would come to visit them. But it says that while he was doing this, he was troubled about the state of the world, it distressed him. He was anguished at the state of his own society in Mecca where there were huge spiritual melees. But also, the whole region was engulfed in warfare with Persia and Byzantium engaged in these devastating wars. We should make ourselves aware and to make ourselves uncomfortable because that suffering, we must feel it as though it were our own. I think that we’ve got to shake up, we live in such a cocoon in the west. In previous years or in pre-modern states, which were based on agriculture, agrarian produce. Ninety percent of the population was reduced to serfdom in order to support a small tiny aristocracy. Historians tell us that without this inequitable system we would probably never have evolved beyond subsistence level because it created a privileged class with the ability, the leisure, to develop the arts and sciences on which our progress depended. No civilization until the now modern industrial civilization found an alternative to this inequitable system. Now, we talk a great deal about equality, but we’re not seeing the fact that a lot of the goods that we’re buying or rather are encouraged to buy in order to keep our commercial economy going, have been created in sweatshops from people working as indentured slaves. And we never see that. At least the aristocrats saw the peasants toiling in the fields. We don’t see, we live in this cocoon, and God forbid, we should see some distressing sight on the news. This is profoundly dangerous. SB: At some level, this goes back to materialism. Could you speak about the dangers of materialism for humanity in general, and how materialism may disrupt our commitment to compassion? Dr. Armstrong: Materialism is part of it, certainly. Basically in the old days, religious people wanted to transform themselves, at least that was the goal. It was at a profound level, it’s about transformation and change. Now we are less ambitious, we just want to be slimmer or more charismatic, we don’t want necessarily to become saints. We’re encouraged-- our economy is dependenton this. Remember, after 9/11, George Bush telling us all to go shopping. Then I was sitting with someone who said, “Shop?” On the other hand, of course, the economy has to get going and you get back to the shops and start buying all this stuff that we have. So that, all along our big motorways, there were huge emporiums of storage systems where people are storing mountains of stuff that they’ve acquired which we don’t need. We’re continually being nagged at to buy this, to buy that, buy the other because the economy depends upon it. I read someone who said nowadays we change ourselves by changing our stuff. We get better stuff and we feel transformed. It encourages superficiality, greed, and it does not encourage us to think or to see the disparity in our society where people have not got enough. SB: Going back to the Charter for Compassion, which has over two million signatories, what’s currently happening with it, and what are your future plans for it? Dr. Armstrong: We’re coming to a turning point now because Joan Brown Campbell who has managed it for years, she’s retiring now, she’s 87. I’m hoping-- we’ve got a whole new Board of Trustees. Some of them I’m happy to say, a lot younger than I am. And I should be having meetings with them at the Parliament for World Religions that are taking place in Toronto in November. I need to just hand this over to them because we are too old, our rhetoric and everything is-- we need to speak to the young. I’m hoping that…I know Joan was saying these young people they have loads of ideas, so I want to hear them and to sit down so that we take this further. My dream for the Charter has always been much more global than is currently. People want their own cities to be nice. My dream was to-- although there are now 200 of these cities - my dream was to twin or unite some of these cities, so that you had, say a city in the United States twinned up with a city in Pakistan or the Middle East, and that the universities who all subscribe to the Charter could exchange news; younger people could form email friendships, we'd exchange views and gradually, some of the misapprehensions we have about one another in our cocooned existence can be erased, and our horizons enlarged - but I cannot get them to do it. Maybe the younger people will see the point. We are so obsessed with our own by what we see in these cities, for example, every time we hear of a disaster. So many disasters come to mind, but say when you hear of a particularly appalling incident in Syria, or you hear of a terrible-- like that time in Pakistan where the Taliban slaughtered 140 children - what they should be doing in a compassionate city, is going to the Pakistani embassy and laying flowers there or going to the Syrian embassy, making people aware that this is happening. Dr. Armstrong: And the thing is, I've been appalled at some of our terrorist attacks. The year before last, we had a spate of them in London and then there was that business with the Charlie Hebdo massacre in Paris, and yet there has been no such outcry about the Pakistani children. A few days after that, Boko Haram slaughtered 2,000 Nigerians and that had a tiny mention in the press. You remember that march that the Heads of States were doing, linking arm in arm for free speech. I looked at this with unbelief, and I think my own Prime Minister was then David Cameron, who headed a country, Britain, which had for over a century, aggressively supported regimes in Muslim majority countries that allowed their people no freedom of expression at all. Dr. Armstrong: There's no thought of that at all, and as with the Paris attacks, there have been some terrible attacks elsewhere in the Muslim world, not a sign of it. But during the Iraq and Afghanistan war, it was quite right that they honored the soldiers who were brought home dead in their coffins. But there was no sustained outcry about the unacceptably high level of civilian casualties. All this should be making us uncomfortable, I keep coming back to that, and not just to see ourselves as the center of the world, because we're not. SB: Right. On various occasions, you’ve said that religions share similar core values and ethics and humanity, in general, shares the same desires and worries. In this spirit, do you think it would be productive -- so, that we as a humanity can come together -- if humanity was to explicitly lay out a consensus of these shared values as a sort of universal code of ethics? Dr. Armstrong: Somehow and this is why I want to get these younger people going here for the Charter because I’m too old. I email, of course, and all that but I'll never think electronic, but the language is changing. People's ways of thought will be affected by the electronic media. It's already starting to happen and somehow, we've got to put these statements so that they're not just yet another wordy and wordy thing that no one is going to plough through. But to find a way of putting it that shows, the urgency and also gives people something practical to do. I'm not very good at this kind of thing but, so that you give them a statement and now, perhaps make a point. Each church or each mosque making a move towards a house of worship belonging to another faith in your vicinity etc. Something that is concrete and practical and helps people to start doing something, instead of just thinking, because it goes in one ear and out the other. You see, we have had the Common Word, we had the Amman Statement-- I was at a conference held at the British foreign office and it was held in Rome about religion and politics, with a lot of Ambassadors there, diplomats and also people from Islamic countries, and they're always talking about these statements. I said, "look, somehow, we've got to start thinking outside the box a bit more.” That’s where we need the help of the young and getting them engaged. SB: It's a secular country, in a sense. Dr. Armstrong: It is, entirely. It's probably the most secular country in the world, I think, far more than the Netherlands for example, where they may not want to “do religion,” but they understand it much more than the British. Yes, the level of religious literacy is appalling and even in some of the houses of worship too. SB: Even in the houses of worship themselves? Dr. Armstrong: Yes, I often hear people talking about Christianity with very little understanding of Christian doctrine or the depths of how we got to where we have or the way we think quite differently about things like God or the Eucharist or what we did before and all that. There's very little understanding of that. I bet the same is true in mosques. Dr. Armstrong: And the trouble is, people do academic courses and PhDs in this and then they can only speak in utterly incomprehensible ways. SB: I'm glad you mentioned that. SB: I think Einstein said it best, and if I may interject is, "If you can't explain it simply, you don't know it well enough." Dr. Armstrong: I quite agree, yes, but now you see, the trouble is, the academic specialists have become so specialized that it's almost a point of honor to be incomprehensible - even to your colleagues in the same department. So you might want to undertake a study of, I don't know, some abstruse sect in the 17th century in Britain, for example, become the world expert on that. People are divided very much in their specialisms. SB: How do we move this forward, any suggestions or solutions? Dr. Armstrong: Well, yes, exactly. I've not been forced into an academic straitjacket. But again, I think here is where we need to talk, to really engage, somehow get up to some kind of dialogue with concerned youth, and perhaps have some meetings between the elderly with their concerns, because young people are very, very open, some of them and eager, but to get [the youth] so we can start infusing them and getting them to express it in their new language. SB: I completely agree. In this case, as you mentioned your work, why did you choose the topics you chose for your books? I know you've written tons and tons of books. I'm just curious on how you went about on choosing particular topics. Dr. Armstrong: Well, I fell into this completely by accident, I've never intended to do this. I wanted to be an English literature major and failed my PhD, became a school teacher, and I went into television for a while. I had been a nun in my youth, and I came out of the convent and wanted nothing to do with religion ever again. I thought it was all rubbish and dreadful, and my early books were very angry. Then I had yet another career disaster and went off and started to write a book called The History of God, and I expected it to take the skeptical line of its predecessors. But because I was now working alone, there was no one to egg me on to be outrageous, and I worked in silence for most of the time. You realize theology is poetry and you cannot read a poem in a noisy nightclub, you need a different state of consciousness, and I began to see things-- the words, these texts started to speak to me in a new way but then in the middle of this, the Salman Rushdie crisis appeared. I was appalled by the fatwa but I was also appalled by the way leading academics, philosophers, novelists were coming out in the newspapers saying that Islam is evil and bloodthirsty religion. Dr. Armstrong: I was filled with dread. I said, "we in Europe have learned nothing since the 1940s, this is how Hitler began." We haven't learned and of course at the end of that decade, the 90s, there were concentration camps again on the outskirts of Europe, this time with Muslims in them. So, I have a sense of dread and I remember sitting in my sitting room and looking at the dreadful Sunday newspapers all around me and I said, one of the problems is that they just don't know anything. Of course, you remember the Rushdie's novel was about the Prophet Muhammad. Dr. Armstrong: I said, well, there isn't a life of the Prophet for Europeans, for them to read, why don't I write one? So that was how that process came along. At first, we couldn't get a publisher because people thought Muslims would be so enraged by my doing such a thing, that I would be joining Salman Rushdie in hiding. We finally did get a publisher and I found that the people who were reading it, most were Muslims, especially Muslims from the West. 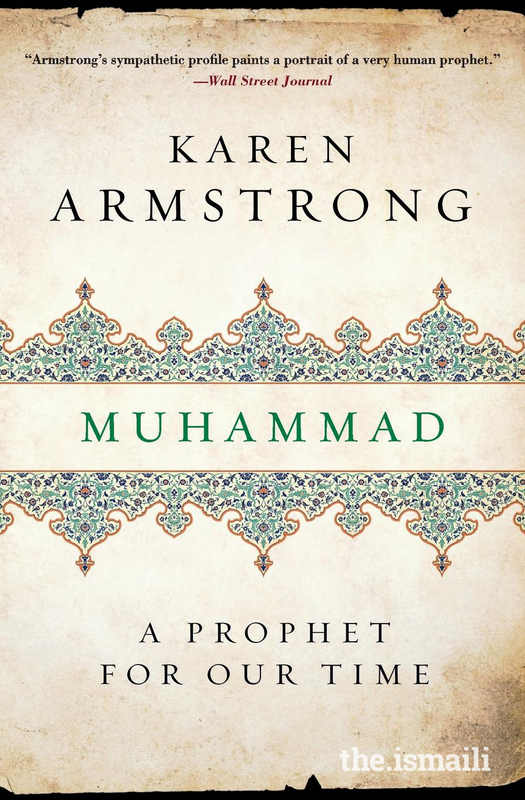 Dr. Armstrong: It was great since nothing like that had been expected, that put me on a course of writing about Islam. I also had to write a short history of Islam, which became very popular after 9/11. That was how I got into Islam. My last book was about religion and violence, so clearly someone needed to have a look at that, given what's going on in the world. And to take it, not just for yet another discussion of Islamic terrorism but looking at the role of violence and what we mean by religion indeed. I looked also in China and India, as well as in monotheisms so that you have a wider view of what the issues involved there. Usually, it's been something jarring in society where I've been hearing a lot of nonsense being spoken. Saying well, let's get a deeper hold on this. I just finished a new book, which will be published next year, I suppose, about scripture. Scripture in all religious traditions, and it's a history of scripture. It’s called The Lost Art of Scripture because I see scripture as a kind of art form that requires a certain mentality, and an understanding of the genre etc.. It was also a performative art, it was always recited or sung, not just read in a cerebral way and in a literal-minded way. I just finished that. SB: I'm looking forward to it. Dr. Armstrong: It's usually something that I've seen it that's worrying or troubling that has pushed me. 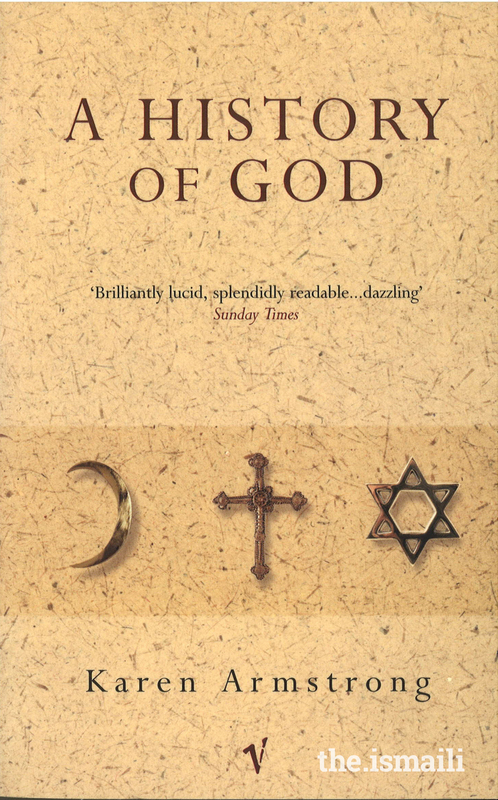 When Richard Dawkins, Sam Harris, and people were [speaking] against God, I wrote The Case for God, looking and taking it slightly deeper look at what the version of God involves. SB: I do want to talk about the future of religion and faith. Do you think the perception of religious people, of course, it might be worse for some faiths or better for others, will generally improve over time? Dr. Armstrong: It’d better or it will just wither away. I hope so. I feel encouraged by the thoughtful response I’ve had to some of my books, even in Britain where everybody thinks religion is rubbish. There have been thoughtful, appreciative reviews and that type of thing but even in the United States, I see people really longing to hear something different. If I'm giving a talk, then a thousand people will show up and I feel that-- The same in - I just got back from the Netherlands and also Belgium - people are just longing to hear something different. I think there is a desire for it. The press and the media tend to focus on the less positive aspects of what's going on, on extremism for example, in its various forms or on the obscurantist view of religion, and the ghetto-like nature of religion because there's a lot of it, about everyone retreating into their own religions in a way. The more we discover, the more we’ve got in common, the more people are retreating into these denominational ghettos. Dr. Armstrong: It is. And you feel a sense of relief in the audience. This is not unusual, there have been many people in the past who wrote like that, and there are many people in the present. These voices need to be magnified more I think. SB: —And this leads to people becoming non-affiliated, non-religious, sometimes not quite an atheist or agnostic but believing in spirituality, in some form of a divine-- in America, that’s around 27% total, and if you’re actually under the age of 30, there’s a higher chance you’re in this non-affiliated camp. What I want to ask is, what advice or direction would you give to those struggling to look at this issue and to look at their own religious tradition itself in a different light? Dr. Armstrong: It’s always a good idea to have a look at how things were done a bit in the past, and then try and do it in the future. One of the things I’ve found is about scripture is that until the modern period, scripture was always a work in progress. You made it speak, you gave it a new interpretation in order to make it speak to the present. You weren’t harping back to the past so that you would reproduce the conditions of 2nd century Arabia or the conditions of the early Christian church because that was God, you make that speak to the present. About a century after the Prophet’s death, it did come back. You need to recognize Islam because it’s a change, because they were now masters of a huge empire and there was a lot of distress about this, how to square imperial injustice with the Qur’an, and out came all these institutions which we now associate with Islam which were not there in Medina like fiqh or Sufism or Shia historiography too. They were making the traditions speak to now. SB: In the world, exactly. Dr. Armstrong: —which you must go back to the marketplace, you must make the world a better place, you must build a decent society. Jesus said when the kingdom comes, and the king comes to judge the people, he’s not going to be judging you on your sins or anything of that sort, but he said, "I was hungry, you gave me to eat. I was thirsty, you gave me to drink. I was sick, naked, and in prison, and you came to visit me." It’s that outreach, that compassionate outreach because it’s that which makes religions viable because you’re not just engaged in some nice little soul-searching job, you are trying to heal the world because that’s what the Prophet did, that’s certainly what Jesus did. The prophets of Israel had no time for people who said their prayers very nicely in the temple but neglected the plight of the poor and the oppressed and allowed their rulers to get away with war crimes. There should be a voice, what the clerics should be doing now, that now religion is separate from the state, is becoming prophetic in a sense, to speak about current injustices, and open people’s eyes and make them uncomfortable. I was just reading an account that said in the United States, between 2002 to 2003, sociologists did a huge survey, and they found something. I forgot the exact title that they gave it. They called it Ethical Transcendental Monotheism or something, which was the major religion of most young people and their parents. That God, well, He just wants me to be happy, He’s my friend and Jesus is my personal savior, and so He’s your personal trainer or something, just out to make me feel good, He wants to make me feel good in a way. Whatever God is, He does not want us to feel good, God wants us to be disturbed by the distress that we see around us. I think the secularization of society has somehow trivialized religion so that yoga, for example, which used to be about getting rid of ego, has now become a sort of aerobic exercise. Mindfulness is meant to make you feel more defensive in yourself, more at home with yourself and etc. Whereas, the Buddha designed that this practice to show you that the self does not exist at all. Our society, especially in the west, is so geared to self-gratification and feeling good that we expect our religions to make us feel good too. But religions are telling us, “Get out there.” I think if you want to start getting out there and start engaging with the plights of the world, I think the texts are speaking to you in a much more urgent way. SB: If I may ask, what would be a question, even a faith-related question, that you are still searching for a satisfying answer to, and for which you would even welcome other perspectives? Dr. Armstrong: I suppose something I’ve been struggling with in this last book is the experience of transcendence which lies at the heart of religion, what are the actual implications of this, how are the best ways of achieving it, how is it linked with the neurology of our brains? We don’t talk about it enough, I don’t think, and I’d like to look. I was just thinking this afternoon that maybe the subject of my next book is to look at what we mean by transcendence because what we seek is transcendence. What is it? What’s good transcendence, what’s bad transcendence, and what should it tell us to do? SB: It’s very fascinating. I think an immediate important question that we struggle with everyday. I think one of the Ismaili Imams had said something along the lines of How are you facing God? That's what matters in every moment and if you feel that, you are happy. It's a very, very powerful line. Dr. Armstrong: Yes. Yes, it is. SB: You've spoken about your vision for compassion, could you name a specific objective, perhaps you see the world can achieve let's say in 25 years? Then what insights and suggestions would you offer that would address and achieve this vision, within the time frame of 25 years? Dr. Armstrong: Well, what I suppose I'd like to see happening would be a “trans-world tunnel of people” who come together periodically which is quite easy to do now with modern electronics and things, and come together and who will create a body of sages, if you like. Wise people of all religious traditions, or philosophical traditions, or secular traditions. People who think deeply and who will gain respect because they would be people of eminence, that's Nobel Prize winners, but who come together instead of just going off from Stockholm back home but linking up and will address some of the burning issues of the time. Giving an ethical voice that will make people think, re-evaluate, and feel that they are not perhaps awaken, in a more ordinary funk, a sense that they are not alone in their feelings that something must be done. SB: Thank you for this interview. Dr. Armstrong: Well, thank you very much indeed. 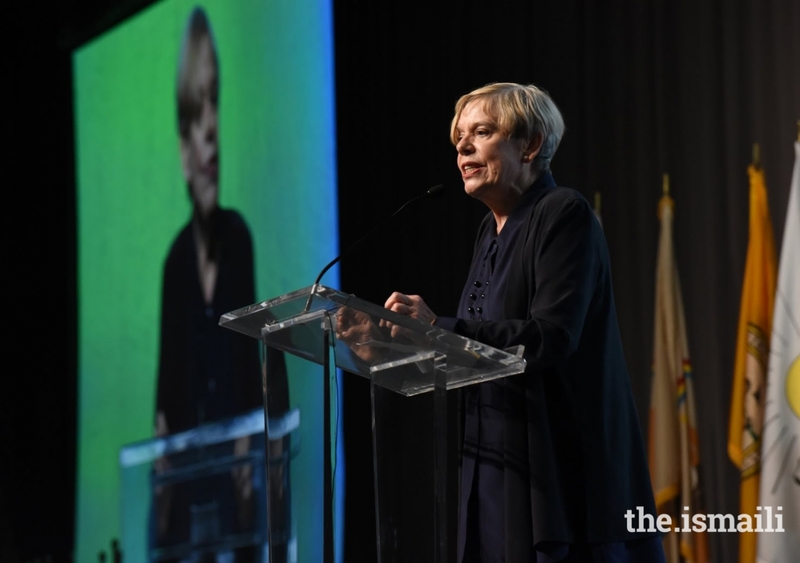 Karen Armstrong (OBE; FRSL) is the author of numerous books on religion, including A History of God, which became an international bestseller; The Battle for God, A History of Fundamentalism; Islam; Buddha; and The Great Transformation, as well as a memoir, The Spiral Staircase. Her work has been translated into 43 languages. She has addressed members of the US Congress on three occasions; lectured to policymakers at the US State Department. In 2006, she was invited by Kofi Annan to join the High-Level Group of the new UN Alliance of Civilisations; in 2008, she was awarded the Franklin D. Roosevelt Four Freedoms Medal; in 2009, she was awarded the TED Prize and with TED founded the Charter for Compassion, which is now a global movement. From 2008- 2016, she was a Trustee of the British Museum; in 2013, she was awarded the inaugural British Academy Al-Rodhan Prize for Improving Intercultural Relations; and in 2017, she was awarded the Princess of Asturias Award for Social Sciences. Sahil Badruddin is a graduate of The University of Texas at Austin with degrees in Chemical Engineering, Religious Studies, and History. As the host of Candid Insights with Sahil Badruddin, he conducts interviews of influencers, leaders, and intellectuals for their deeper insights on contemporary issues. Some of his recent interview guests, among others, include Eboo Patel, Hasan Minhaj, and Reza Aslan.